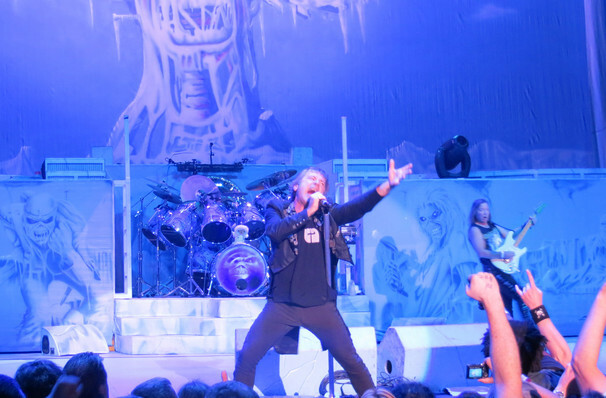 Prepare yourself for Iron Maiden's most explosive live spectacular ever as the British heavy metal outfit return to North America on their extravagantly staged Legacy Of The Beast tour. Following the story told in their mobile game of the same name, let the band transport you a series of awesome Maiden Worlds. With more Pyro, light, flame effects than ever and even an entire replica Spitfire in working in perfect fusion with their hard rock tunes, this is THE event Maiden fans won't want to miss. Iron Maiden were formed in London in 1975, and given the fact they took their name from a medieval torture device, it was clear they weren't gonna be grandmother's new favourite band. Pioneering a wave of British heavy metal, their no nonsense approach, taking inspiration from the likes of Hendrix and Led Zeppelin, and of course the monumental vocals of singer Bruce Dickinson, immediately marked them out as something special. Among their most iconic tracks are 'Run to the Hills', 'The Number of the Beast' and 'The Trooper'. Catch one of the genres' defining artists when Iron Maiden cement the Legacy of the Beast in 2019. Sound good to you? 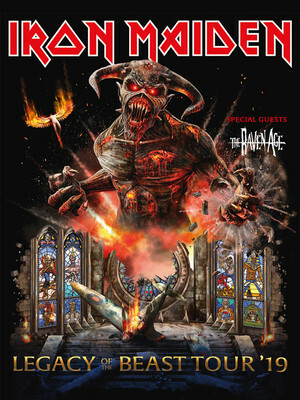 Share this page on social media and let your friends know about Iron Maiden at Rogers Place. Please note: All prices are listed in US Dollars (USD). The term Rogers Place and/or Iron Maiden as well as all associated graphics, logos, and/or other trademarks, tradenames or copyrights are the property of the Rogers Place and/or Iron Maiden and are used herein for factual descriptive purposes only. We are in no way associated with or authorized by the Rogers Place and/or Iron Maiden and neither that entity nor any of its affiliates have licensed or endorsed us to sell tickets, goods and or services in conjunction with their events.